George W. Lowther (1822-1898), Joseph Blount Skinner’s enslaved valet, was emancipated in the mid 1840s and moved to Boston where he established a hairdressing business. Active in the abolitionist movement, he was elected in 1878 to the Massachusetts legislature. George W. Lowther, barber, abolitionist, equal school rights activist, and Massachusetts legislator, was born a slave in Edenton, North Carolina. His mother, Polly Lowther (c.1780-1864), was an Edenton baker and the emancipated slave of wealthy planter Joseph Blount Skinner. 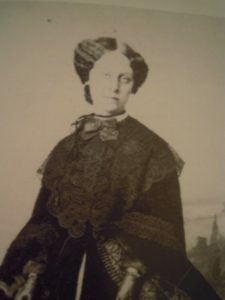 Lowther married Sarah Logan of Boston in September 1852. Louisa Jacobs served as bridesmaid at George W. Lowther’s 1852 Boston wedding. (Thought to be Louisa Jacobs, courtesy Jean Yellin). Among the wedding guests were his old Edenton friends, Harriet Jacobs, and her daughter, Louisa M. Jacobs, who served as bridesmaid. George and Sarah Lowther’s nieces, teachers Sarah and Marianna Lawton, assisted Louisa Jacobs in running the Jacobs freedmen’s school in Alexandria, Virginia. Louisa’s life-long friendship with the Lawtons is mentioned in her recently discovered private letters, Whispers of Cruel Wrongs: The Correspondence of Louisa Jacobs and Her Circle, 1879-1911 (36). Lowther was the first African American in Massachusetts to be admitted to the national temperance organization, the Right Worthy Grand Lodge. 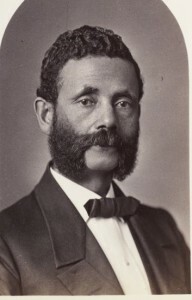 Along with lawyer George L. Ruffin (his next door neighbor in 1870) and Dr. John S. Rock, Lowther supported the Republican Party, and in 1878 he was elected to a two-year term in the Massachusetts House of Representatives where he represented Boston’s 9th Ward. In 1879, Lowther served with early equal rights activist Wendell Phillips and three others on a fundraising committee to aid African Americans who wanted to leave the South. When Wendell Phillips died in 1884, George W. Lowther was one of the speakers at Phillips’ memorial service. 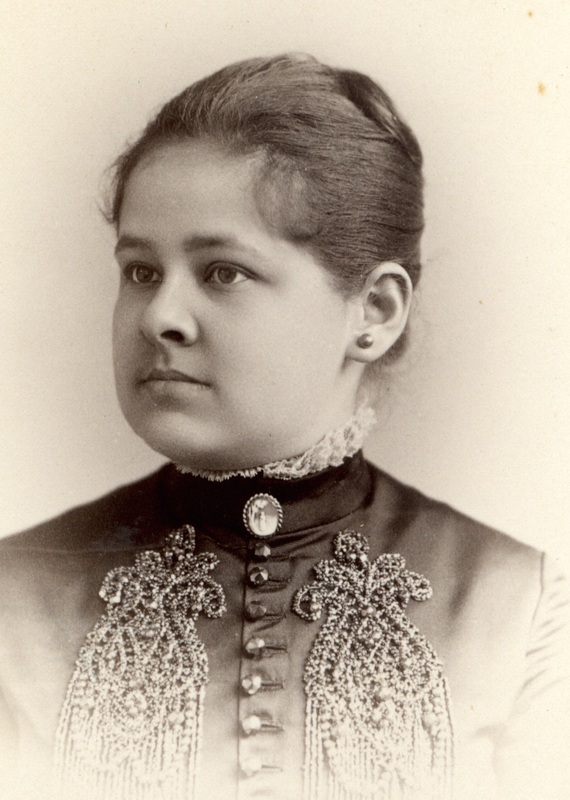 Sarah V. Lowther (1863-1954), youngest daughter of George Lowther, graduated from Wellesley’s Music School in 1888 (member of the class of 1887) and taught Latin and Greek throughout her teaching career. This entry was posted in Uncategorized and tagged 1879-1911, black abolitionist, black graduate of Wellesley, black history, black history month north carolina, Boston abolitionist, Boston antislavery activism, Boston black barber, Chowan County, Edenton North Carolina, Edenton slave, Eliza Marianna Lawton, emancipation, fugitive slave narrative, George W. Lowther, Harriet Jacobs, Harriet Jacobs children jailed, Jacobs Freedmen's School, Joseph Blount Skinner, Louisa Jacobs, nineteenth century black politicians, plantation slave list, Polly Lowther, Sarah V. Lawton, Sarah V. Lowther, Underground Railroad, Whispers of Cruel Wrongs: The Correspondence of Louisa Jacobs and Her Circle. Bookmark the permalink.